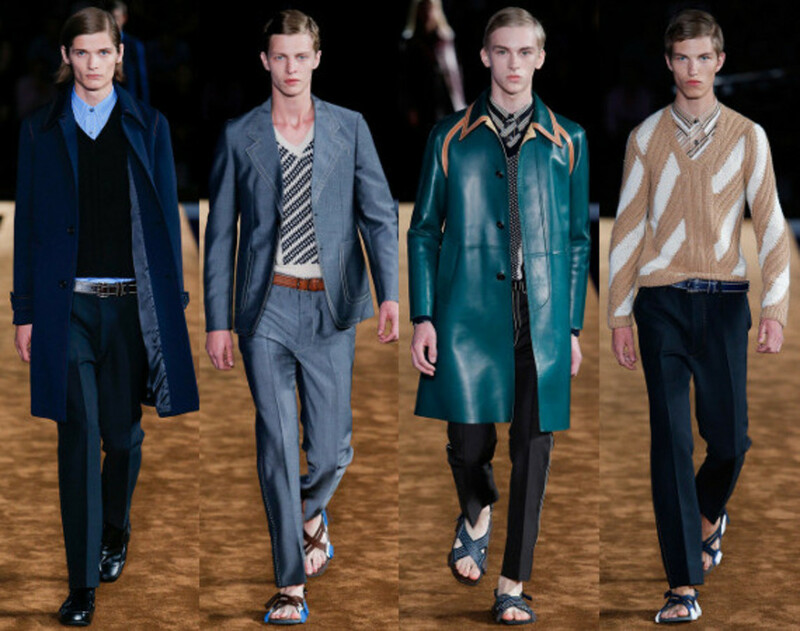 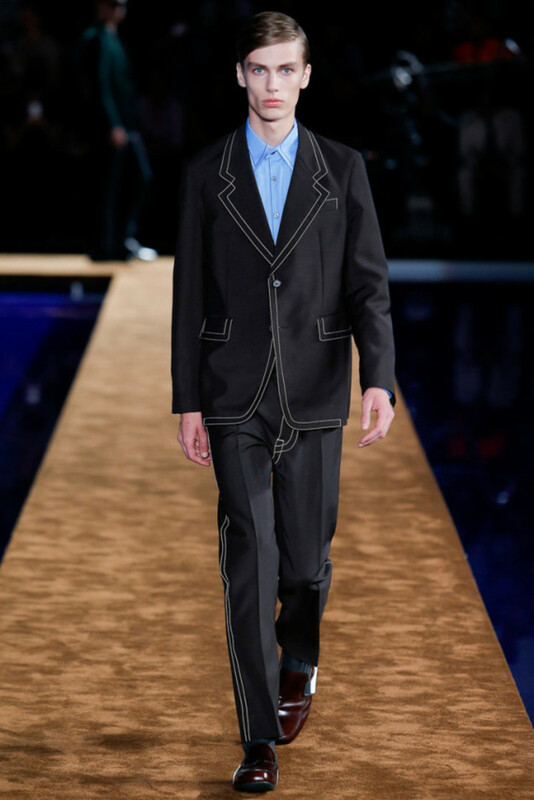 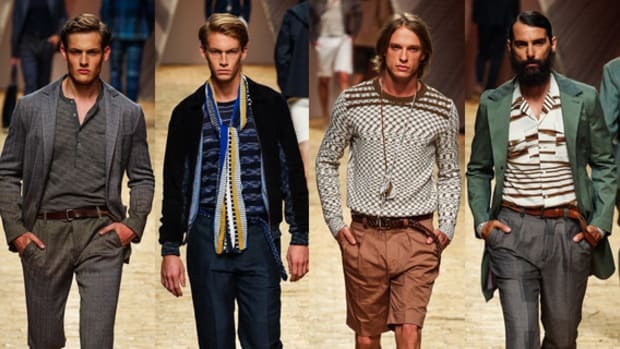 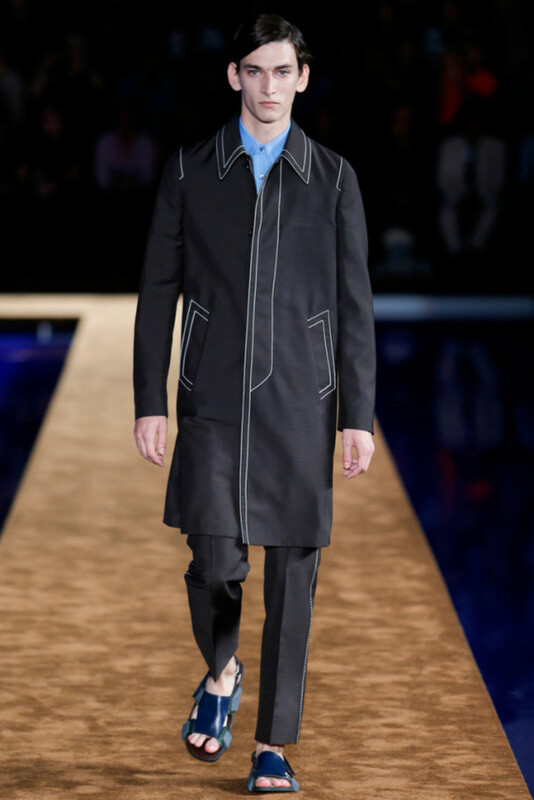 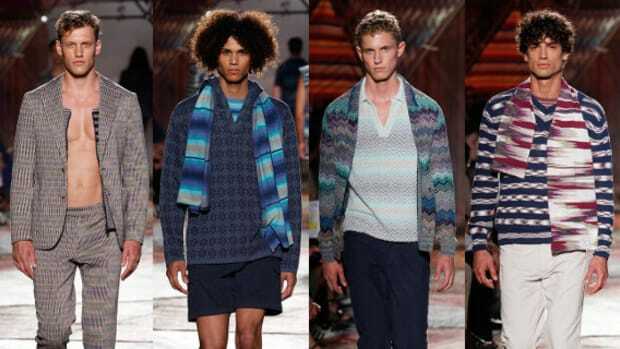 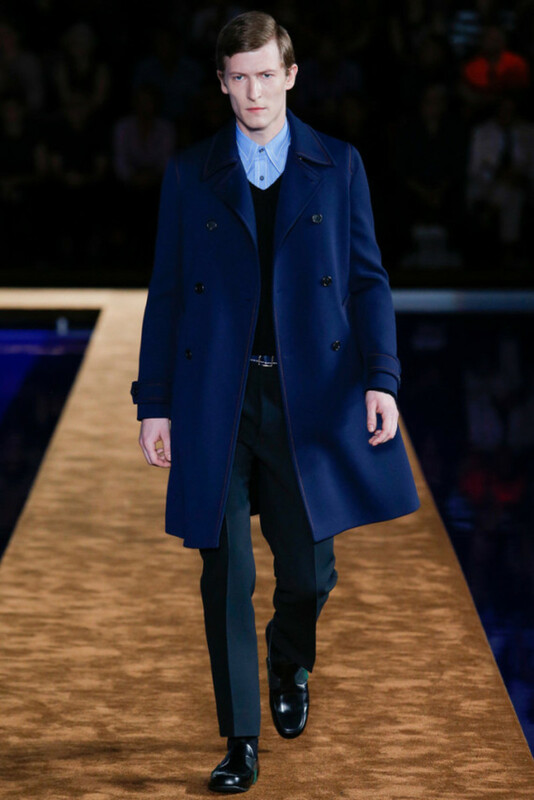 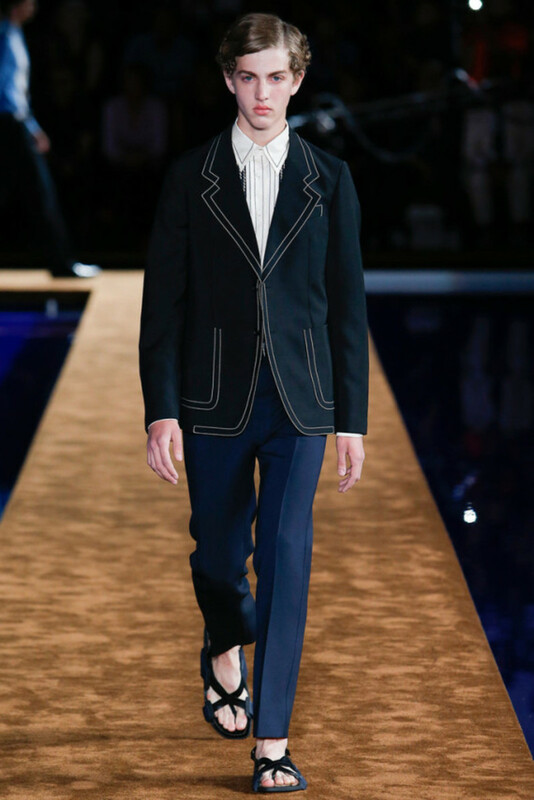 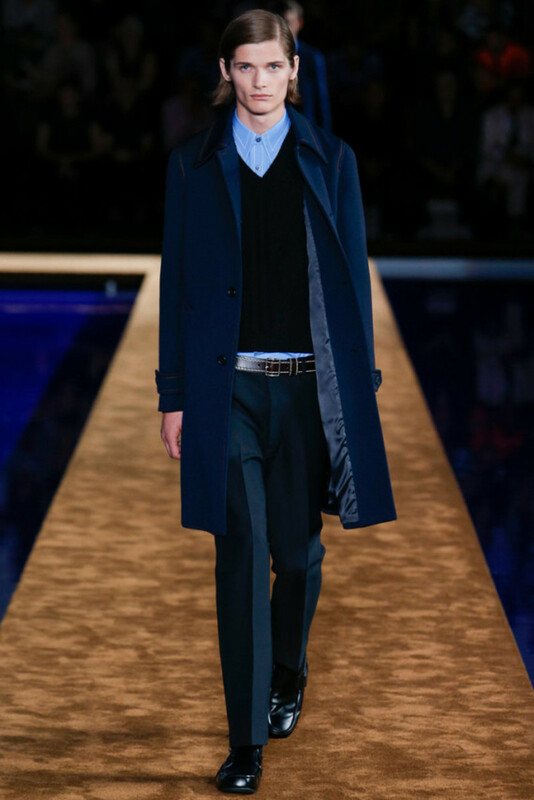 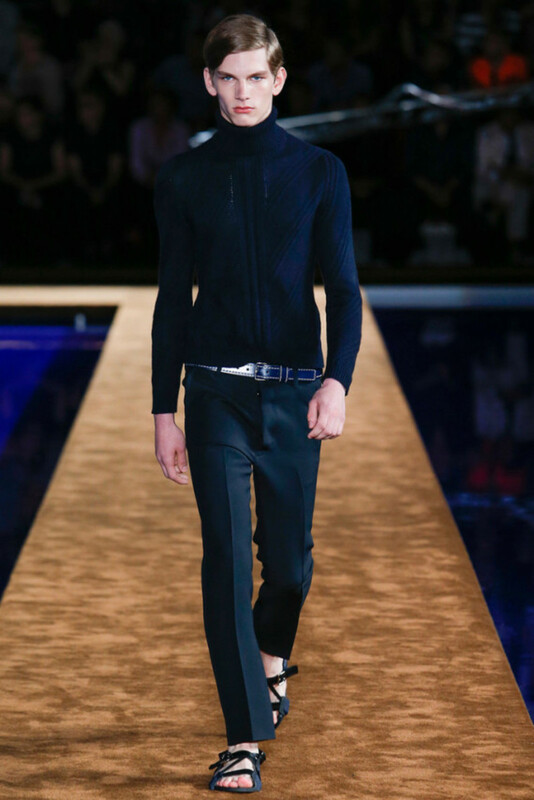 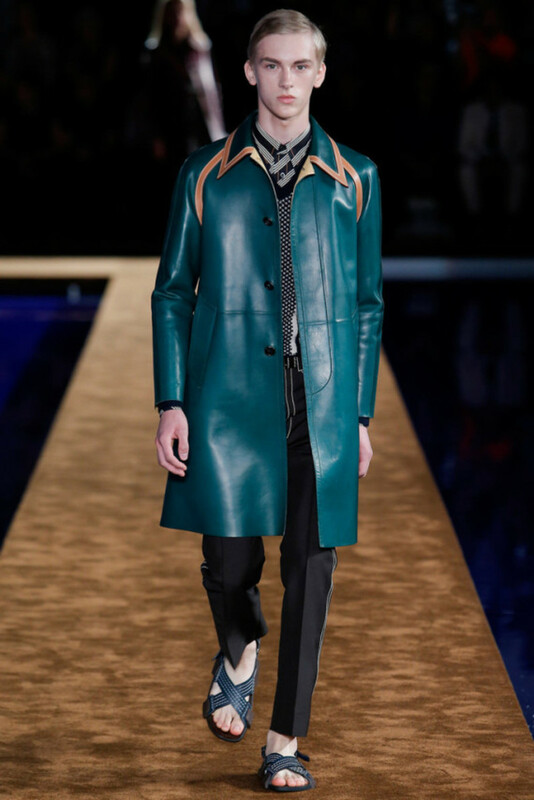 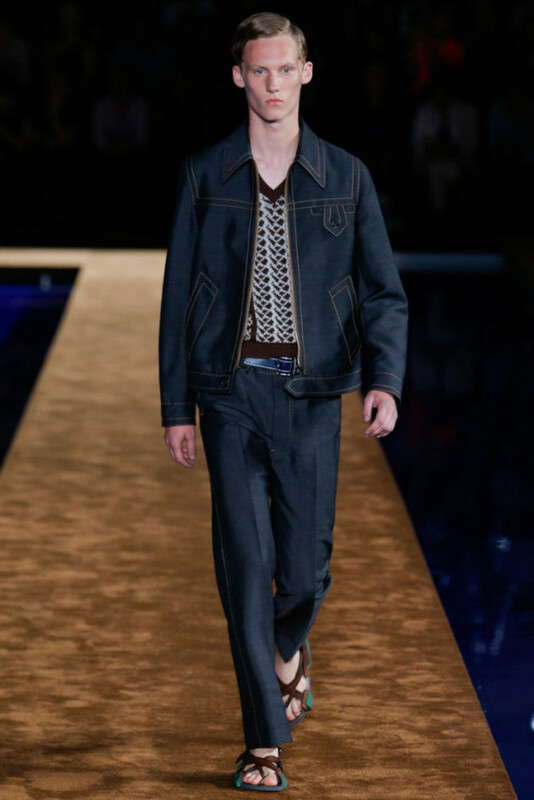 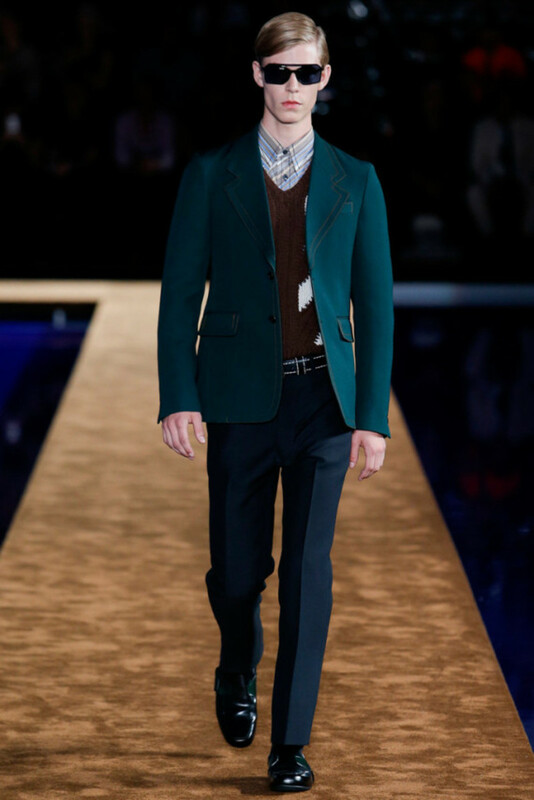 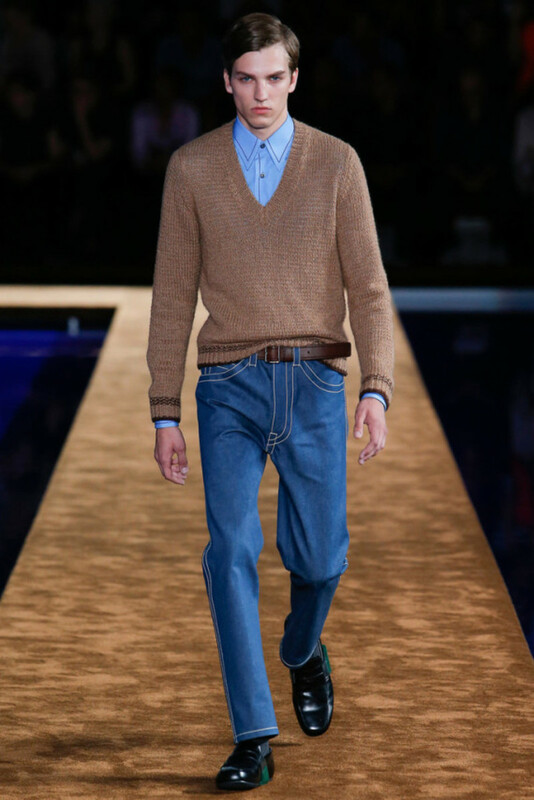 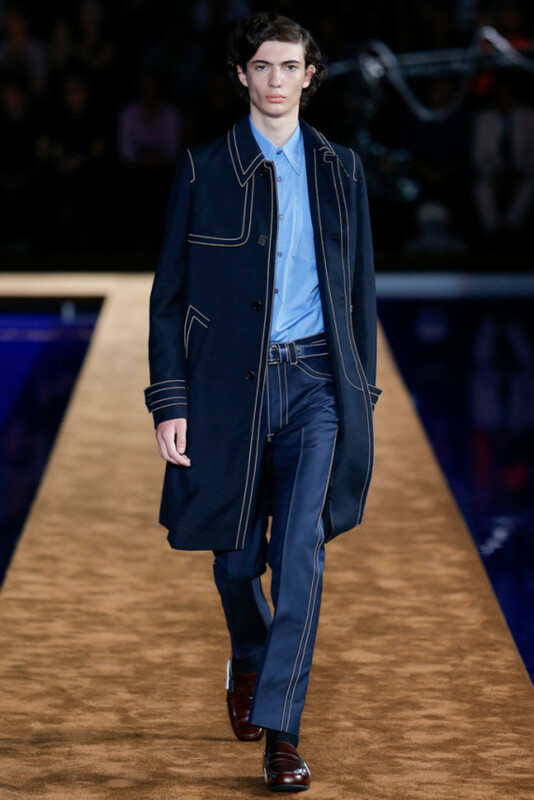 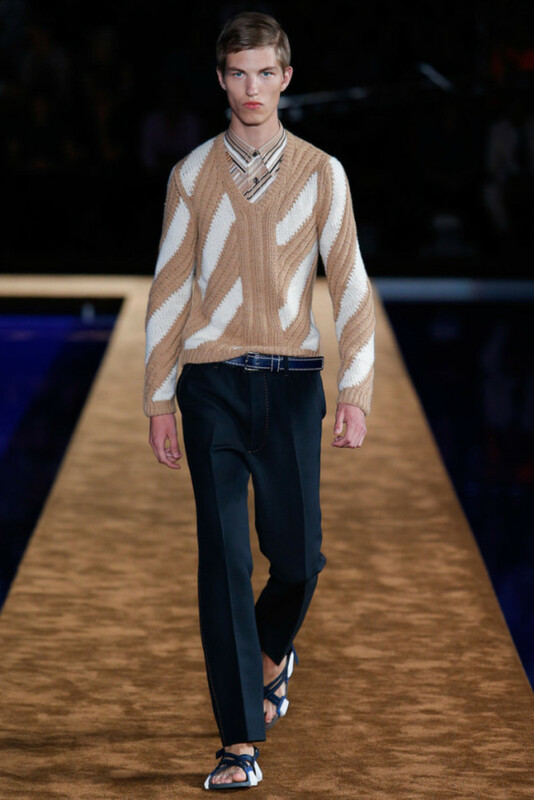 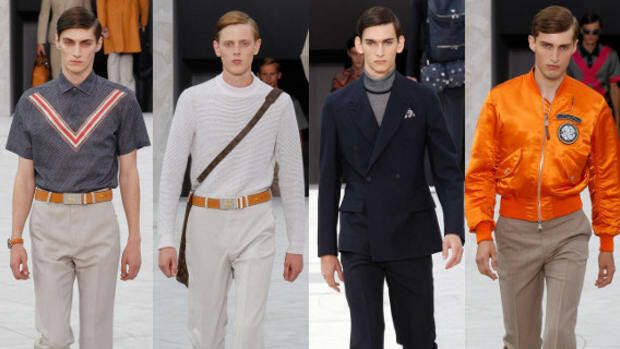 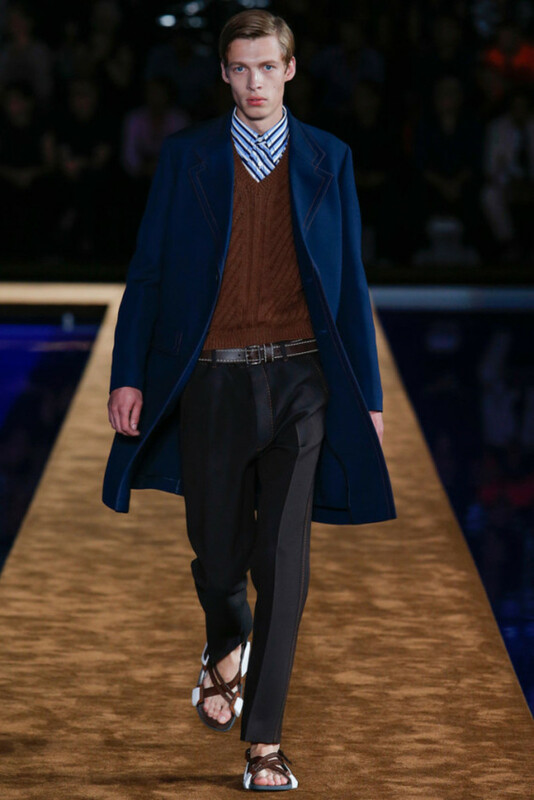 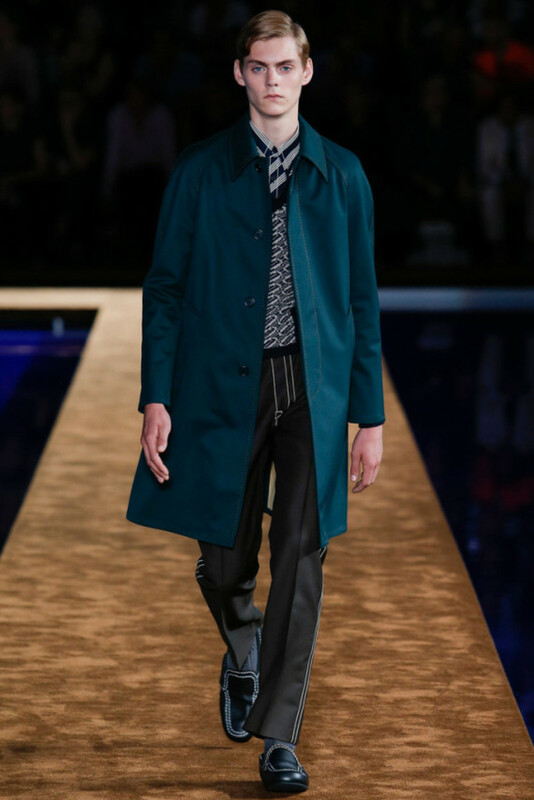 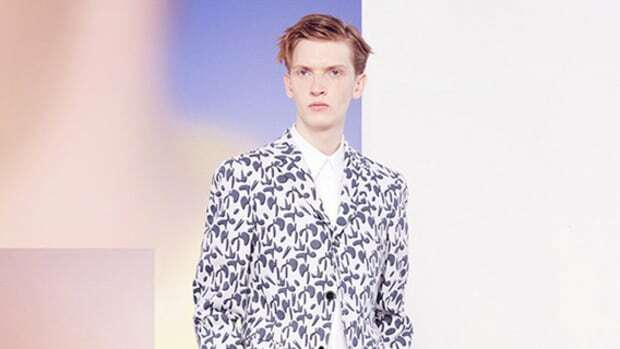 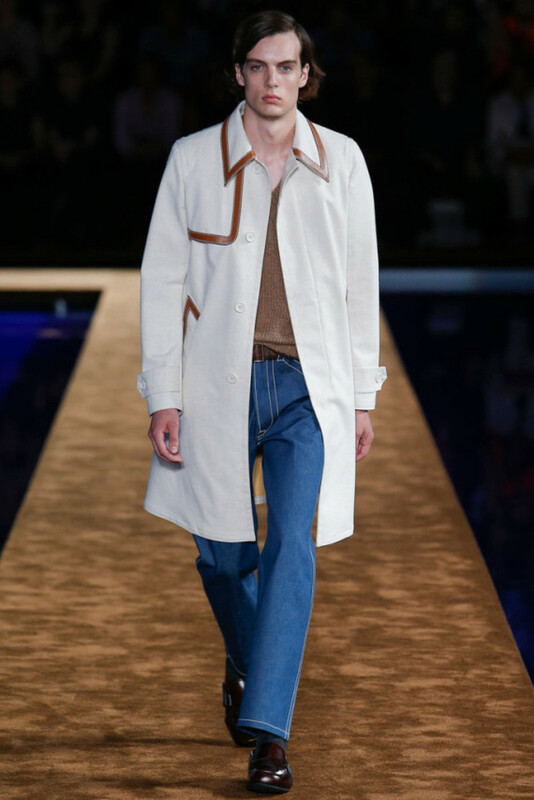 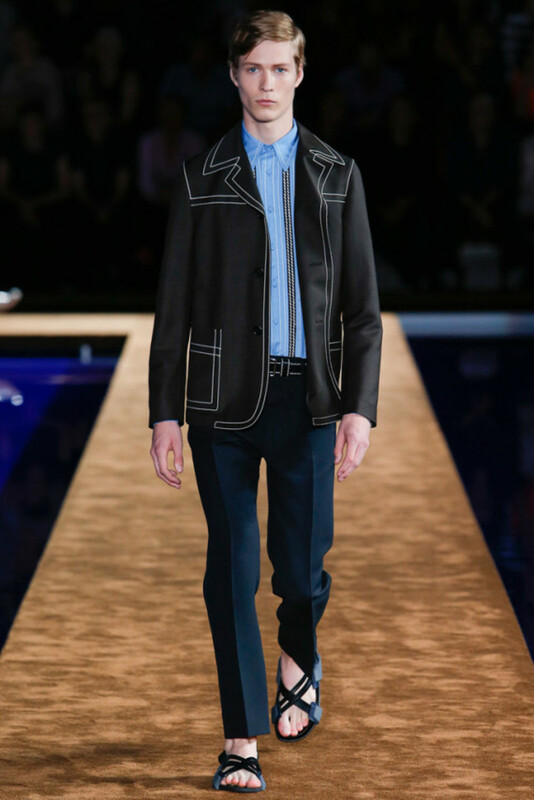 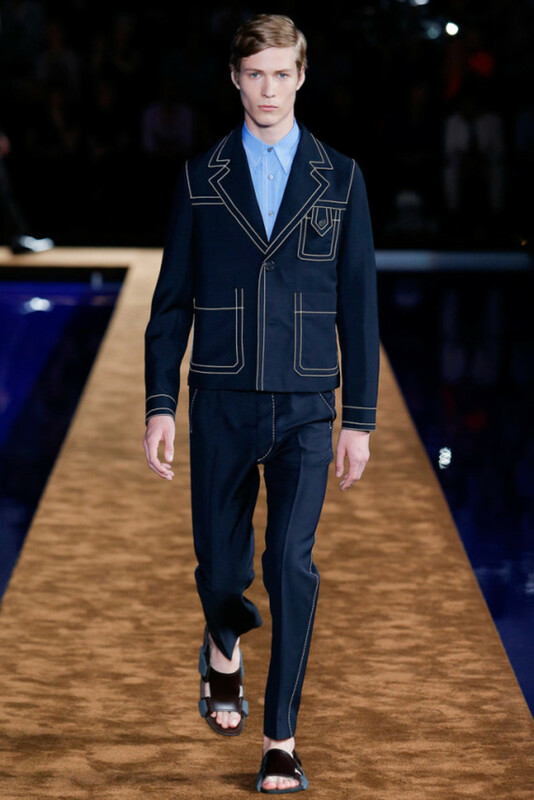 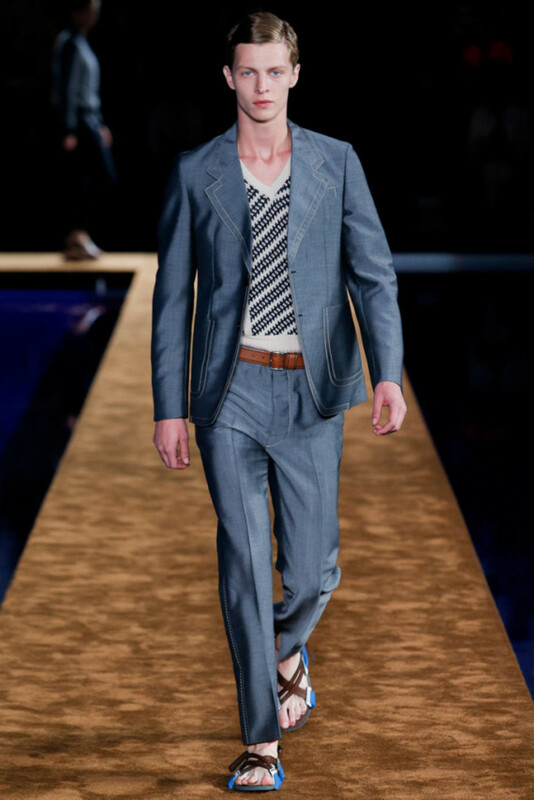 When Miuccia Prada unveiled the Prada Spring 2015 menswear collection in Milan, she described a conservative sensibility springing from a desire to create “something that is real.” That realness translated into a ’70s aesthetic that was retro and modern at the same time, featuring patterned V-neck sweaters, leather-trimmed topcoats and leisure suits and jeans enhanced with conspicuous contrast stitching. 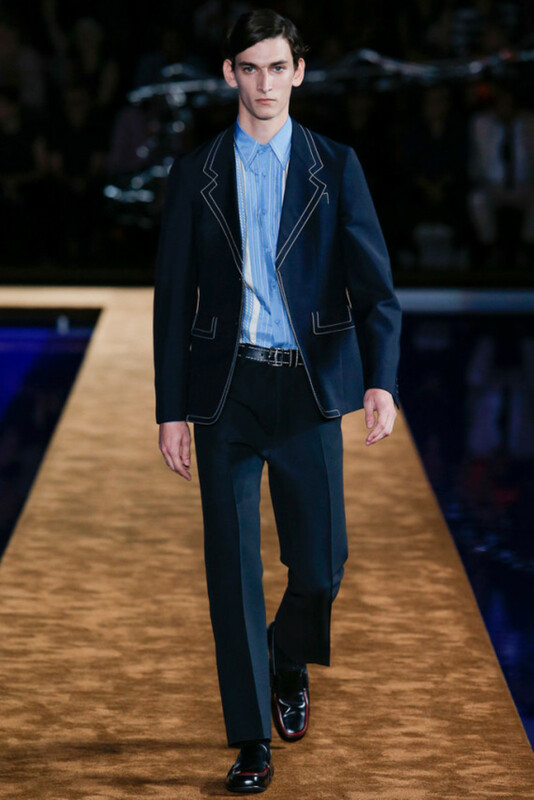 The overall impression was one of thrift store chic, echoed by the contrariety of the setting: a dull brown carpet catwalk encircling a pristine deep blue swimming pool. 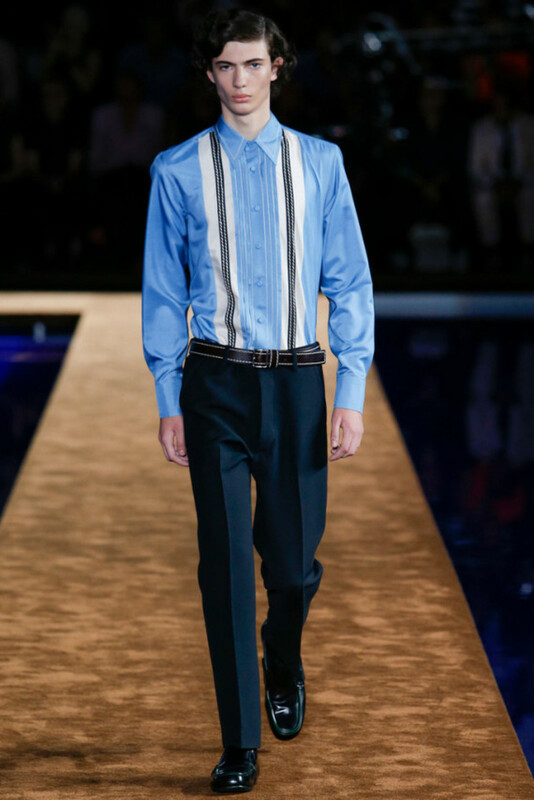 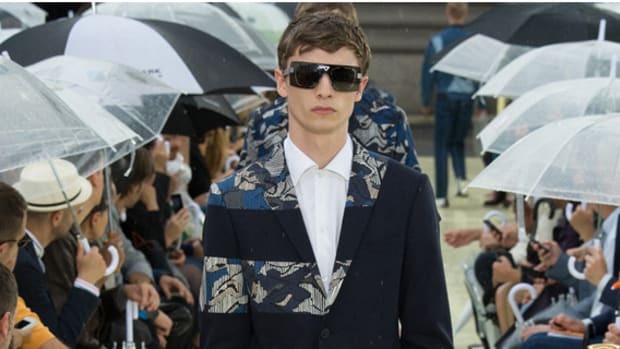 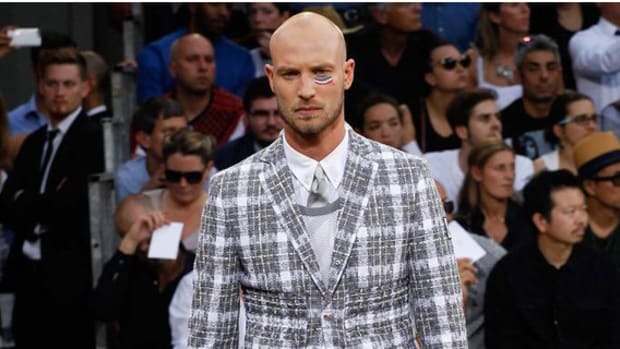 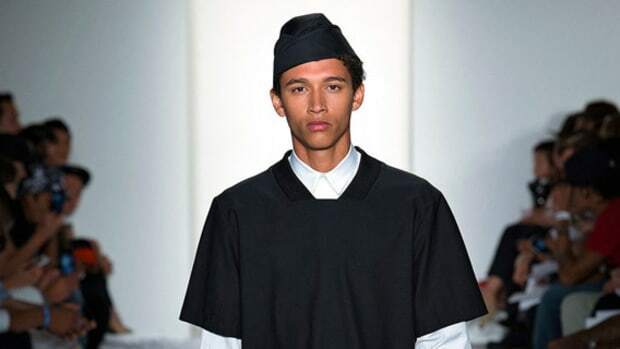 As always, Prada makes its own rules, so that a castoff decade is impossibly made fashionable once again.